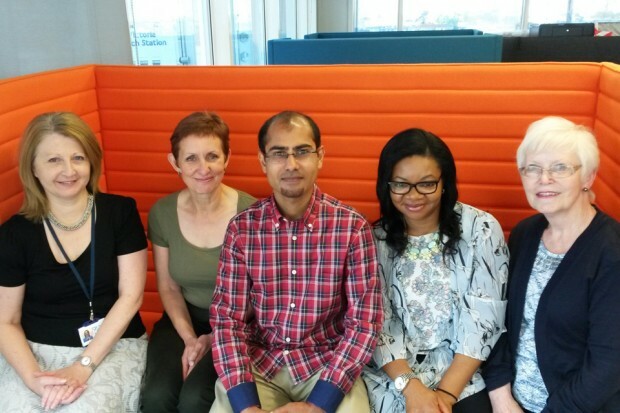 Those of you that have contacted the Defective Medicines Report Centre (DMRC) recently may have encountered some new names – I started as manager of the DMRC team in early April, joining Christine Cox and Alison Bunce. Also new to the team recently are Helen Ndem and Mahmood Khan. Sadly, Christine is leaving us to enjoy a well-deserved retirement, allowing her to spend more time with her family. I will greatly miss her impressive knowledge and experience! Although we think Christine is irreplaceable, of course we are now recruiting for a new DMRC Administrator. If you are interested in an opportunity to join the MHRA, please view the vacancy on the Civil Service Jobs website. We’re located at 151 Buckingham Palace Road, London, SW1W 9SZ and can be contacted by emailing dmrc@mhra.gsi.gov.uk or by calling the hotline on 020 3080 6574. The hotline phone is manned during office hours which are 08:45 to 16:45, Monday to Friday. There is a voicemail for the hotline if the line is busy, or we’re away from the desk for a moment. Out of office hours, contact can be made by calling the MHRA duty officer on 07795 641532. Defective medicines can also be reported using the Yellow Card Scheme. The new Yellow Card smartphone app has recently been launched; intially the app is focused on medicines safety information and is expected to be extended later to include reporting of defective medicines. I know that many reporters find the prospect of notifying a defect to DMRC rather daunting – but the DMRC team are human, and some of us have been in the position of reporting defects ourselves when in industry. My own background is over 30 years in the pharmaceutical industry, with the first half as an analytical chemist in R&D and on-going stability testing and the second half in quality management. This included a stint in corporate quality, in addition to periods as a releasing QP. Alison has a pharmacist background, with previous experience in hospital and retail pharmacy, and more recently 23 years in the pharmaceutical industry in various quality-related roles. We can also call on other expertise in the agency as needed to help with our assessment of defects, from the medical and pharmaceutical assessors, and from the Inspectorate. DMRC also works closely with the Department of Health Medicines Pharmacy and Industry Group to avoid market shortages. DMRC are here to assess the impact of a defective medicine on public health, it is not our role to censure the reporters. In fact everybody that I’ve met at MHRA regards safeguarding public health as their number one priority. This is one of the reasons I wanted to join MHRA, and I haven’t been disappointed. We understand that many people will only make reports on an infrequent basis, and I’ve seen a huge variety of styles and formats so far. What we are always looking for is a clear statement of what the defect is, the extent of the defect (number of batches, packs), a risk assessment and proposed actions. We sometimes see that the reporter has put off contacting the DMRC until the investigation is complete, and we do get referrals from GMP inspectors who find the issues when on-site. The concern here is that the public have continued to be exposed to potential risk before assessment by DMRC. A recent example is where a change in tablet appearance was not recognised as a non-compliance issue by the marketing authorisation holder. I’ll cover more detail of what to report, how, and when, in a later blog. So, what have I learned in my first few months? My first impressions of the agency are of a supremely committed group of professionals that are passionate about safeguarding public health. I haven’t yet met any stereotypical ‘civil servant’ types that my industry colleagues warned me about. I’m getting to grips with the complexity of the NHS organisational structure. And I’ve started reaching out to European Medicine Agency (EMA) colleagues to understand the responsibilities for centrally authorised products. I may be biased, having spent many years in both R&D stability and on-going stability – but the number of out of specification (OOS) stability reports certainly caught my eye when I joined the DMRC. 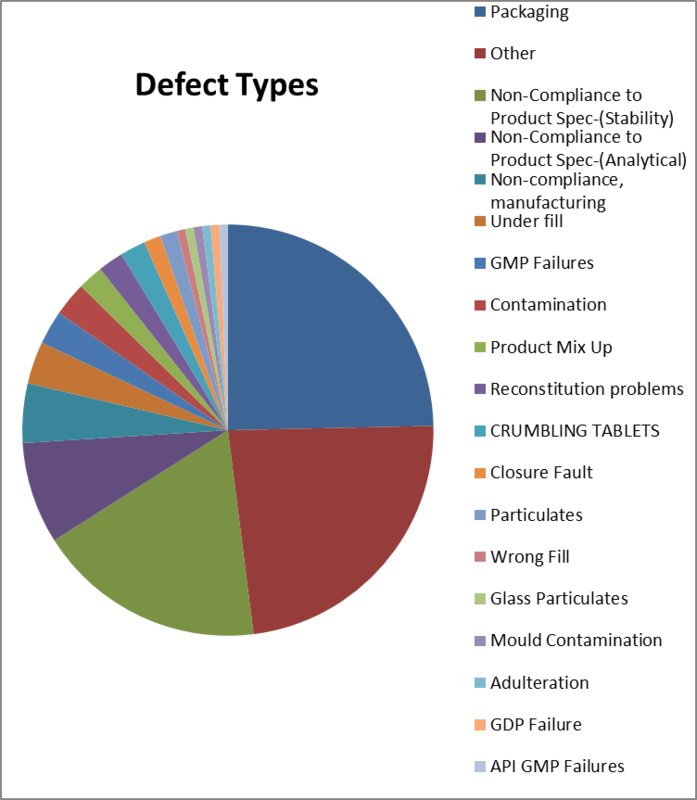 Trending the reports for the last quarter by defect type, stability was third with 27 reports, with the total consolidated packaging defects coming top, and various ‘other’ defect types second. This made me think about learning points for industry. Are you detecting any trends that indicate that the stability test may go out of specification? Don’t wait until you actually get the OOS! Is it really a stability failure? Or was the batch low at release, and has followed the usual degradation profile, or analytical variation. What is the root cause of the stability failure? Is the stability batch representative of all production batches? Testing the retention samples can be useful, but where these have not been stored under ICH conditions, remember they may have lower levels of degradation. I do wonder why there are so many stability failures – is it that new analytical methodology is better at detecting degradation; has the stability been affected by changes (such as starting materials, packaging, method of manufacture)? Please comment if you have any ideas to share on this.